Sawanka impressed from day one with her charisma and her great movements. 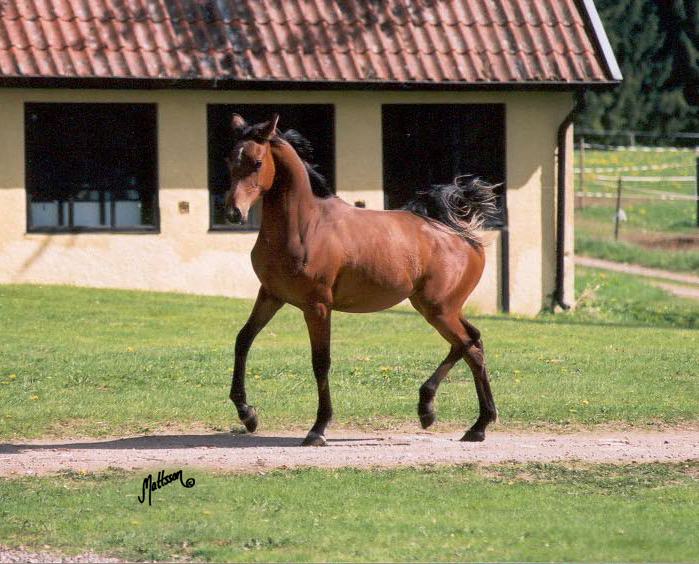 Her sire Preference was bred by Blommeröd Arabian Stud and his sire Pers (Enos x Pentoda) was leased from Janów Podlaski for two seasons 1988-1989. 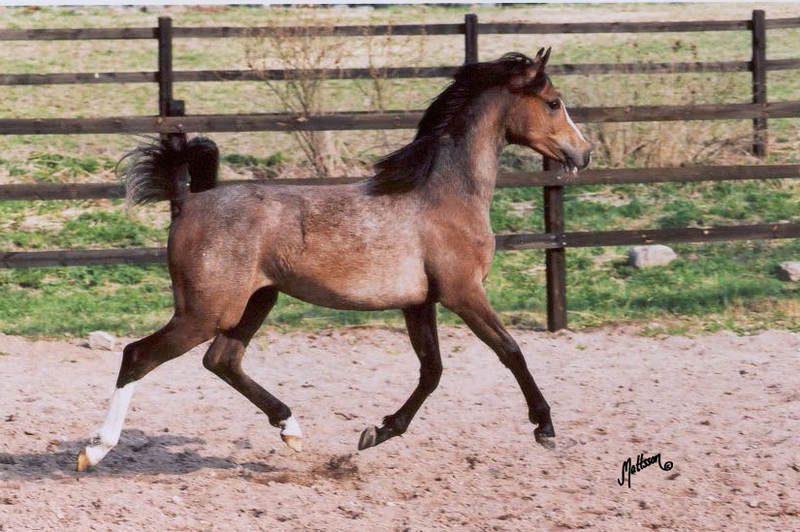 Pers sired two National Champions in Sweden, the filly Necessa (out of Nianka) and Preference – 1992 Swedish National Junior Champion and 2002 Swedish National Champion Stallion. Pers was by the 1981 Polish National Champion Stallion Enos (Bandos x Enora/Czort) and out of one of the best Bandos-daughters in Poland, the great producer Pentoda (out of Piewica/Priboj). 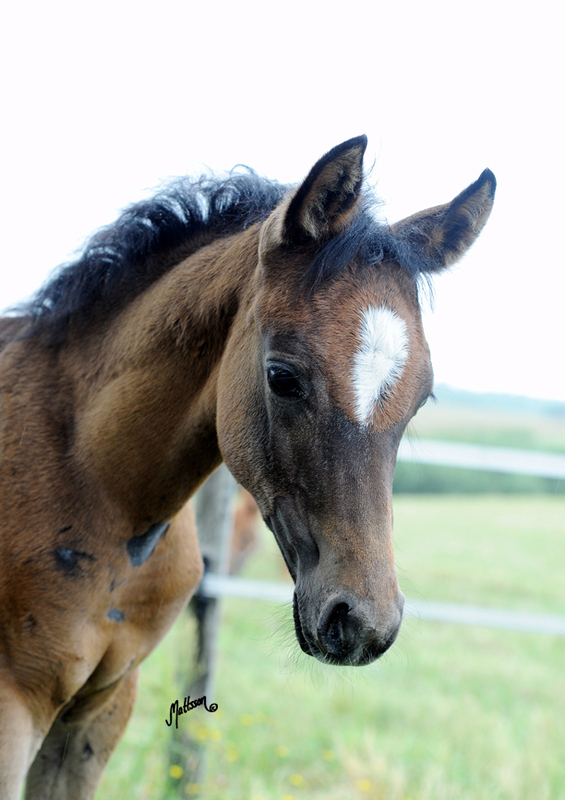 Sawaneczka is Salaterka´s firstborn foal and she is as sweet as her dam. I wanted to breed Salaterka to an Ibrahim-stallion from the day she was born and my dream was to breed her to Ecaho (Pepton x Etruria). As I could not breed to him with a live cover for her first breeding as he resides in California, I was looking for another stallion from the same sire-line. 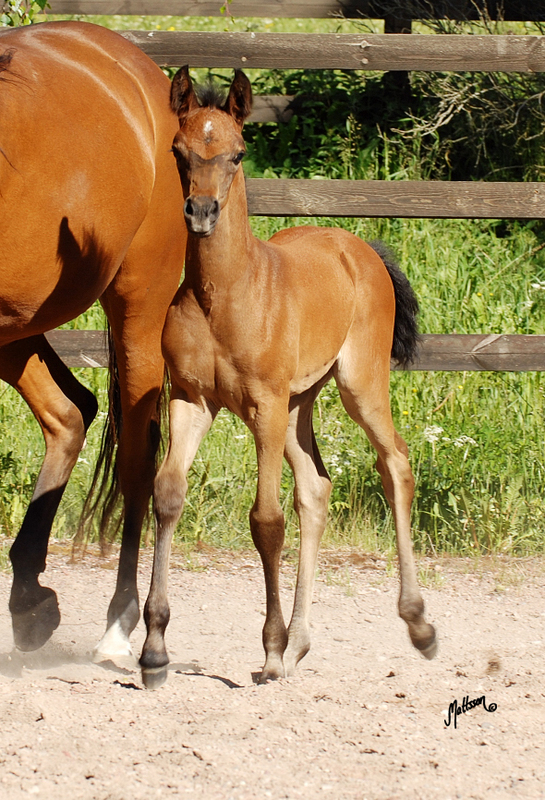 It was not an easy task to find a stallion from the Bandos-line here in Sweden. The stallion I ended up breeding her to was Preference as he was double Bandos, Salaterka and him share the same dam-line (Milordka) and later that spring when her dam Sapala had her filly Sawanka by Preference I had high hopes that this combination would turn out to be as great. 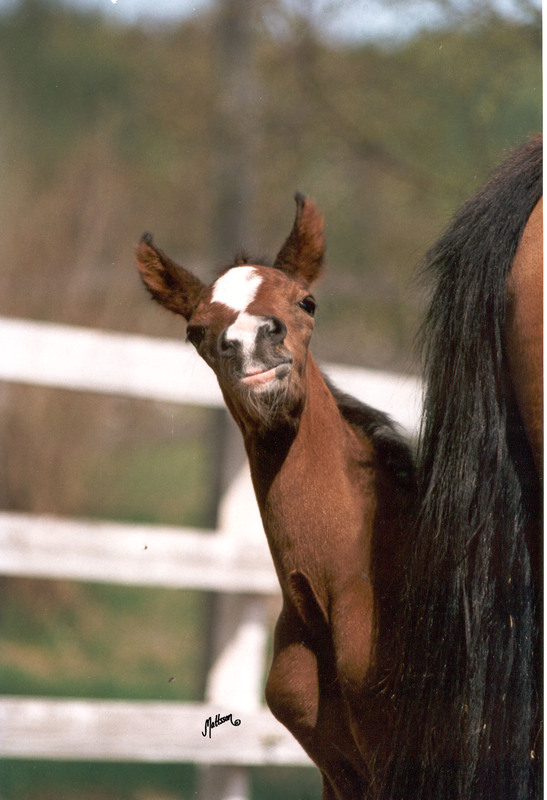 In 2007 I bred Salaterka back to Preference and in May 2008 she had her third filly in a row, Sawanusia. When she was barely 12 hours Carina Söderström of Silver Arabians called and asked if she was for sale and Sawanusia became a new addition to the Silver breeding program.